KUALA LUMPUR (Aug 23): Boilermech Holdings Bhd sees improvement in its orderbook with the recent recovery in crude palm oil (CPO) prices and increased production. The company also expects its run rate to normalise in its second half of financial year 2018 (2HFY18). 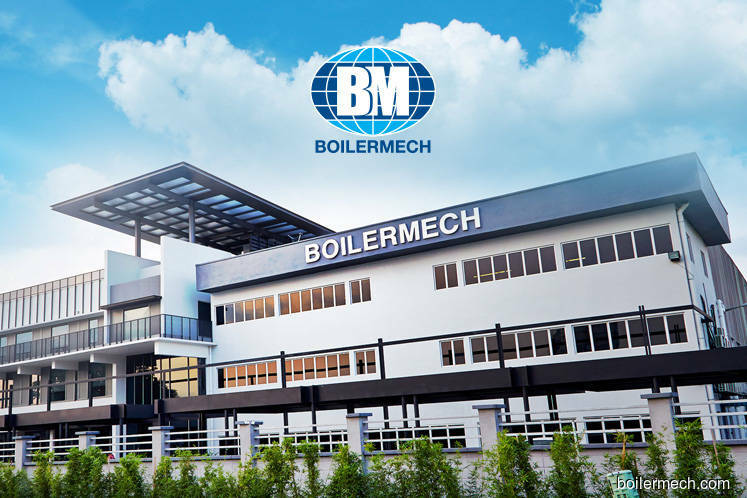 Normal run rate for Boilermech stands at RM60 million per quarter, and as the first quarter of financial year 2018 (1QFY18) was a low-performing quarter at around RM40 million, the company believes it would be possible to return to similar activity level, judging from orders on hand, thanks to recovery in the palm oil industry, said its managing director Leong Yew Cheong. Leong was speaking to reporters at Boilermech’s seventh annual general meeting today in Kuala Lumpur, alongside his deputy, Chia Lik Khai. “With new orders coming in, you should see, in six to nine months, the revenue coming in”, Leong said, adding it would be reflected in 2H, as there is a time lag between its progressive revenue and expenses recognition. However, dampened by weaker 1H earnings, he admitted the company's FY18 full-year performance may not come out ahead. Over at its wastewater business segment, Leong said the company is continuously bidding for multiple wastewater treatment plant projects in Sabah and Sarawak via its direct subsidiary Teknologi Enviro-Kimia (M) Sdn Bhd, in which Boilermech holds 60.23% stake. If awarded, he said the basic scopes of designing and building these plants would usually bring in RM3 million to RM5 million each.